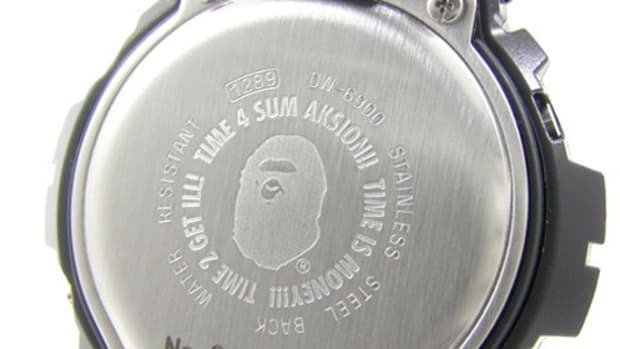 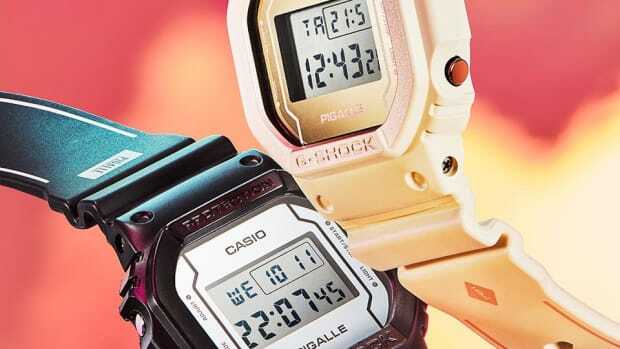 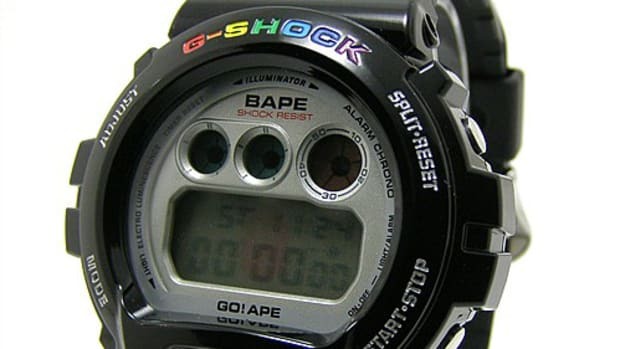 BAPE has partnered once again with G-Shock, and for this latest go-round, the two brands have gone to work on the classic DW-6900 model. 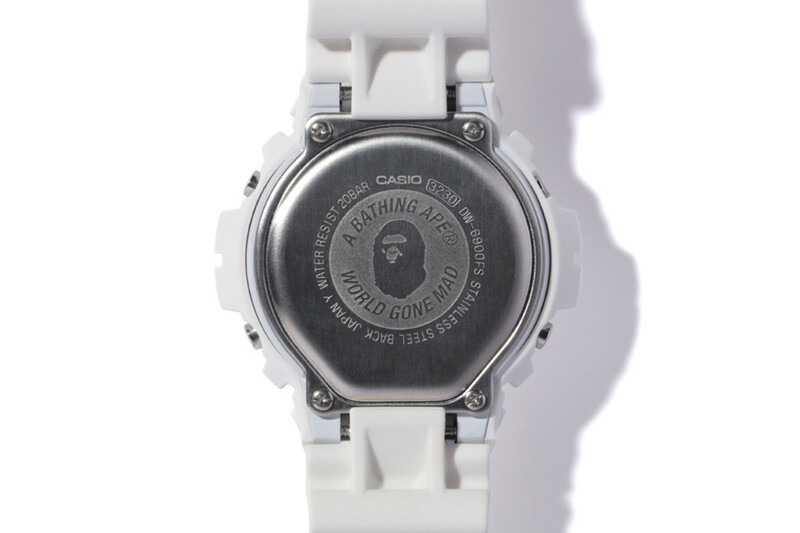 Rendered in a crisp white shade, the standard digital model is marked with A BATHING APE branding throughout: there&apos;s an Ape Head on the case back as well as the backlight afterglow, along with "A BATHING APE" printed in black on the dial and matching white resin band. 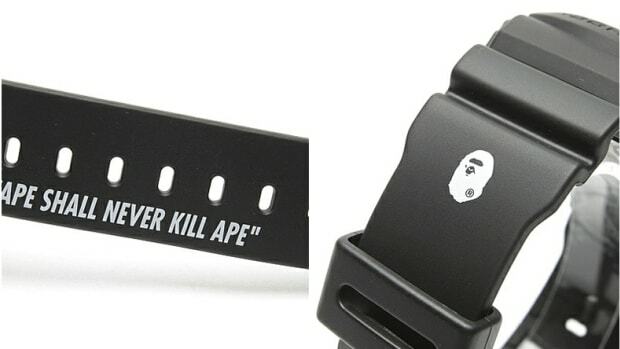 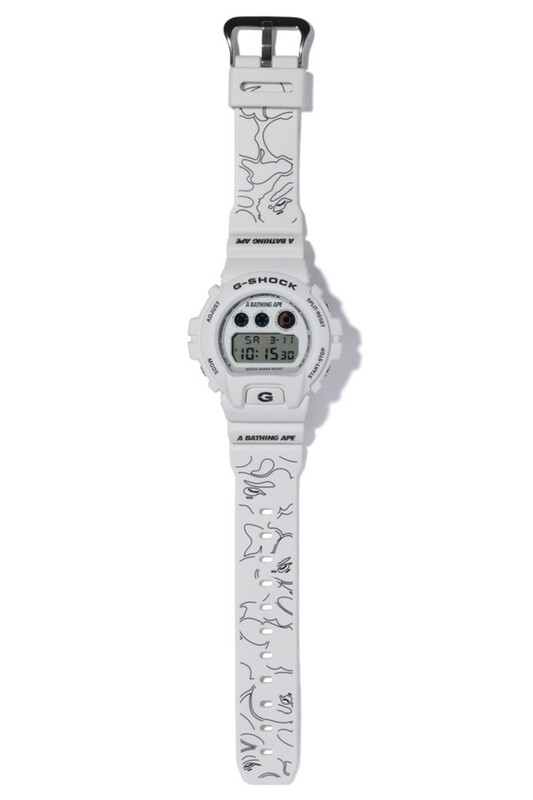 BAPE&apos;s signature camo in a minimalist black-on-white print, appearing throughout the strap, completes the look. 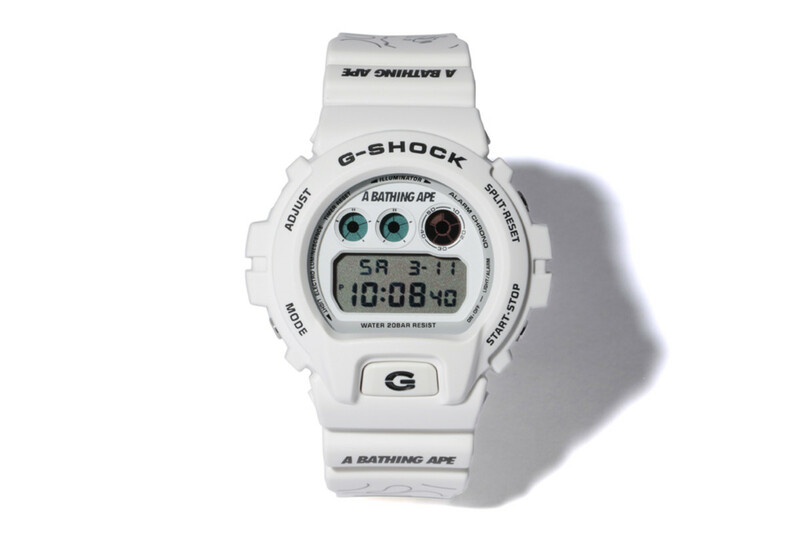 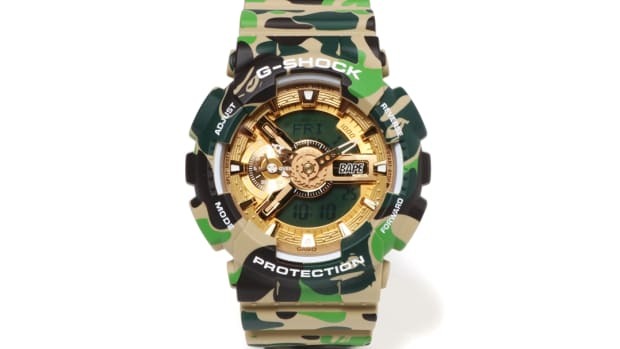 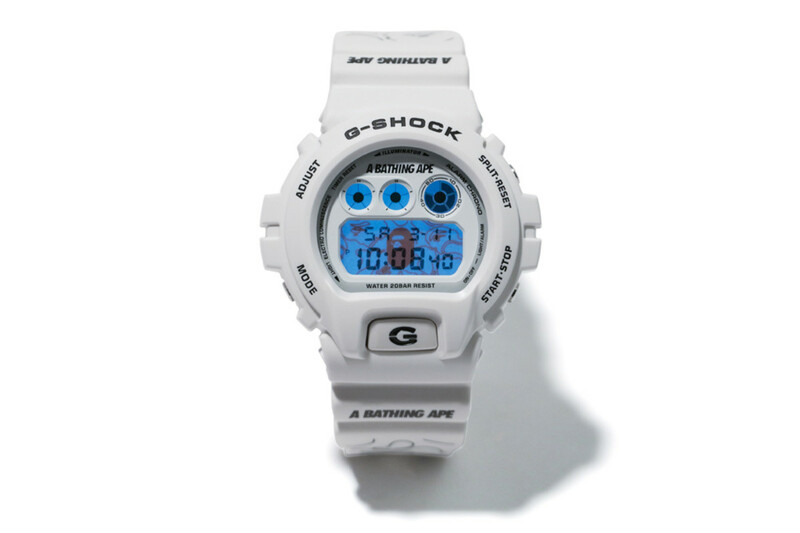 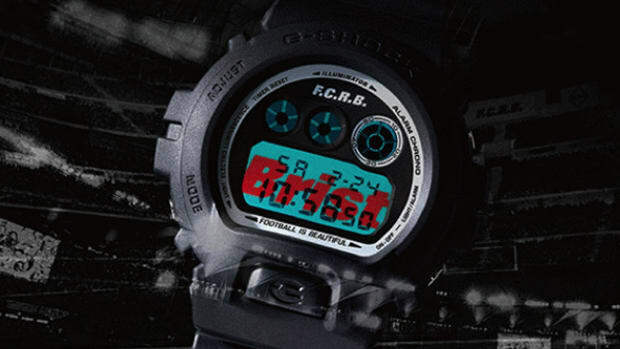 Look for the BAPE x G-Shock DW-6900 to launch March 11 at select BAPE stores and bape.com.